January 22, 2014 by David Shields. Average Reading Time: about 7 minutes. Heber Wells, born January 25, 1835 near Bleeker Street in New York City to Darius and Almira Waters Wells. 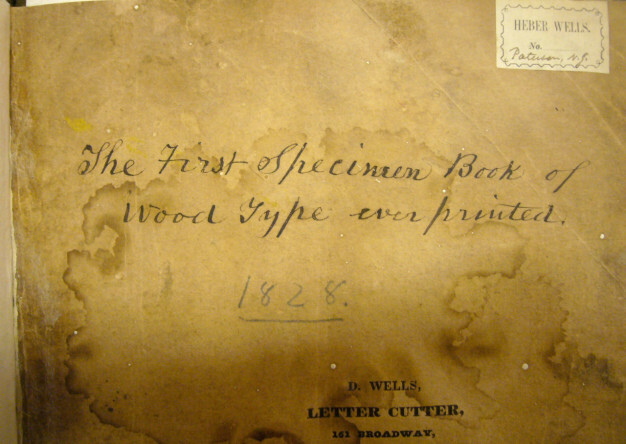 Heber was the youngest son of Darius Wells—the first manufacturer of wood type. He was also an industrious and honest business man, a courageous soldier in the Union army and an active philanthropic member of his community. Title page to Darius Wells, Letter Cutter (March, 1828). 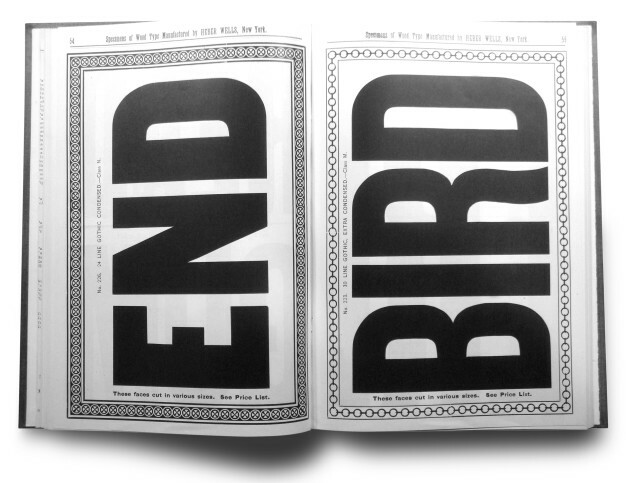 8 × 13˝, 18 pages. (A gift from Heber Wells). From the Rare Book and Manuscript Library, Columbia University. Though born in New York City, Wells spent most of his life in Paterson, New Jersey. As a young man he worked in the composing room of the Paterson Guardian1. Heber married Sarah E around 1857 and their first child Russell was born in 1858. It is interesting to note that ‘Russell’ was also the middle name of Darius Wells’ partner Ebenezer Russell Webb. Heber and Sarah had four more children by 18762. He had been promoted to the rank of sergeant shortly before the Battle of Antietam4. On that day as the regiment marched into battle, the commanding officer was mortally wounded. Wells rushed to his side, but was unable to save the captain. The regiment fell into disarray. Wells was able to secure Irish’s body and, in the absence of any other ranking officer, took command and rallied the regiment of troops back into battle. “…I have passed through two fights and have come out unhurt. But while thankful for my own preservation, my heart is filled with grief and bitterness for the sad fate of Captain Irish. …looking around I saw the Captain fall. I immediately rushed towards him and supported his head, asking him at the time if he was badly hurt. He could say no more than, “Heber, I am killed,” a few moans being the only sign from him. I felt his pulse, which was fluttering and then searched for his wound. … During this time my situation was very perilous, as the regiment had recrossed the fence, leaving me alone with the Captain. So I was exposed to the fire of the enemy, as also to the fire from the awkward members of our company, who had to fire over my head to reach the enemy. … What takes so long to write occupied but a short time. …The lines are formed for another fight, and how soon we are to pitch in I do not know.…”5 Due to outstanding valor in battle that day Wells was promoted to second lieutenant. Heber Wells in his Union army uniform. Date of photo currently unknown. Wells would loose a finger in the Battle of Chancellorsville in May 18637. 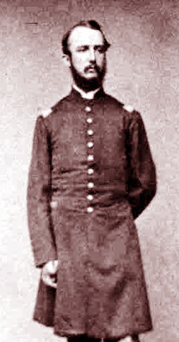 Though it is as yet unclear how long Wells served in the army, he remained a second lieutenant for the rest of his time in the service and that he had most likely returned to civilian life by early 1864. ½ page advertisement, The Printer, v6, n1, January 1865, pg11. 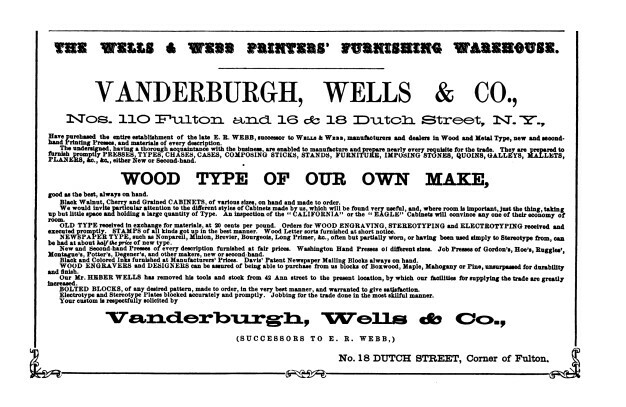 Upon leaving the army, Heber Wells, along with two business partners Alexander Vanderburgh and Henry M Low8, purchased—for $9,2509—the wood type manufactory of E R Webb (successor to Wells & Webb) after Ebenezer Russell Webb’s death in June, 1864. 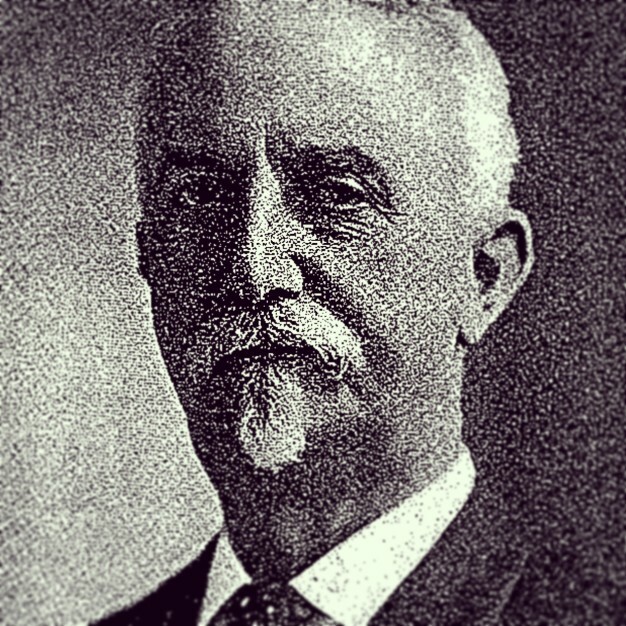 With the death of Henry M Low the following year, Mary Low, Henry’s wife and executress, became partner to Wells and Vanderburgh until her withdrawal from the business in 1887. The company operated successfully as Vanderburgh, Wells & Co until 1890, when Heber took sole ownership. Wells moved the company to 8 Spruce Street in late 1890, and then to 157–159 Williams Street in May 1894. He continued the business under his own name until mid-1899 when he filed for bankruptcy10. The firm and all of its holdings were purchased by The Hamilton Manufacturing Co. of Two Rivers, Wisconsin later that year. Specimens of Wood type Manufactured by Heber Wells, New York (August, 1891). 6¾ × 10½˝, 132 pages. From the Newberry Library. 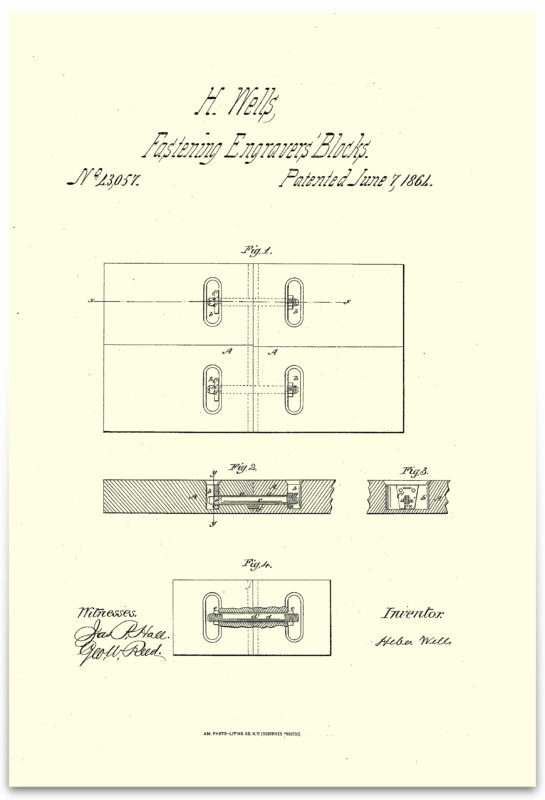 Though his time between returning home from the Army and helping to purchase Webb’s company is not clearly documented, it might be inferred that he started right back to his industrious work habits as his patent—for “useful improvement in securing together wooden blocks for engravers use”11—attests. US letters patent 43,057 illustrated the method for bolting together smaller blocks of wood to form a larger engraving surface. The patent is dated June 7, 1864. Just two months shy of his 97th birthday, Heber Wells passed away quietly at the home of his youngest son Francis S Wells, on December 1, 1930. He was known as the “oldest man in Malden, Massachusetts.”13 Wells is buried at Cedar Lawn Cemetery in Paterson, New Jersey.